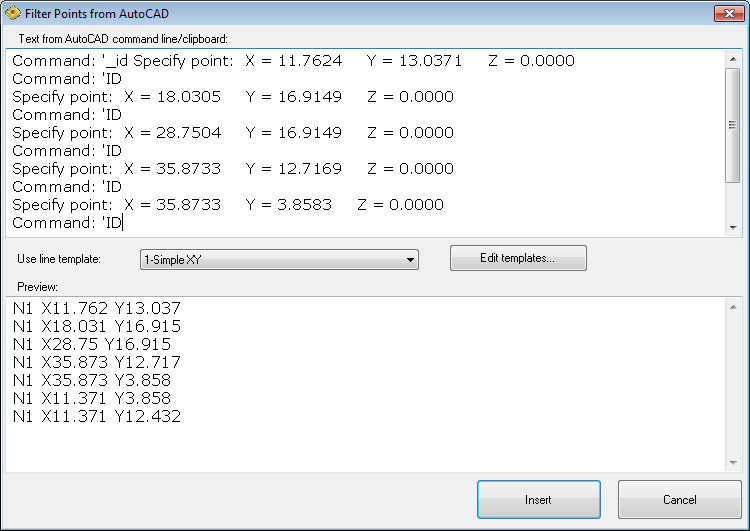 In this dialog you can quickly format coordinates from AutoCAD command line. In AutoCAD, use AutoCAD command "ID point" to select one or more points and press F2 to open AutoCAD command line window. Select all lines with coordinates and copy and paste in upper field of this dialog. Select line template you want to use (or "Edit templates"). You can see a result in a preview area. Click "Insert" to insert formatted coordinates in a CNC code.